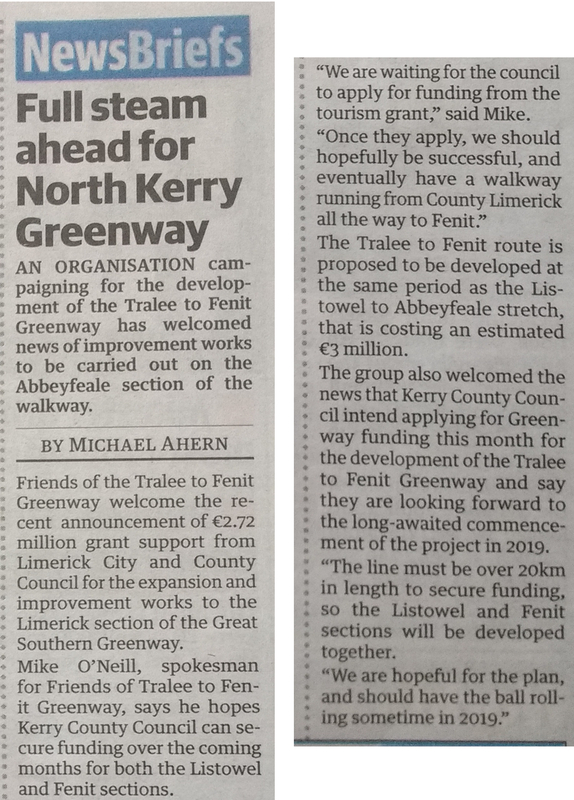 Background: this Greenway follows the route of the old Limerick – Tralee / Fenit railway line. Currently a stretch between Rathkeale and Abbeyfeale is open, in co. Limerick. The Listowel document relates to the Limerick county section up to the Kerry boarder; the Fenit document relates to a separate section, from near Tralee to Fenit, both currently undeveloped.